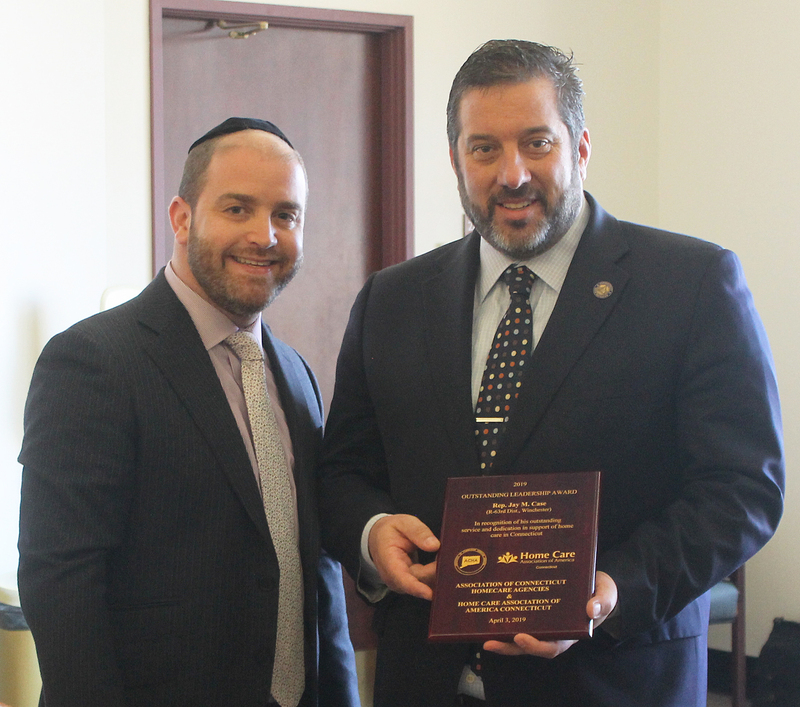 Photo: Chaim Gewirtzman, left, provides the 2019 Outstanding Leadership Award to Rep. Jay Case, right, at the Legislative Office Building on Wednesday, April 3, 2019. Hartford – State Representative Jay Case (R-Winsted) was recognized on Wednesday morning by the Association of Homecare Agencies & Home Care Association of America Connecticut. The organization provided him with recognition this morning with their 2019 Outstanding Leadership Award. 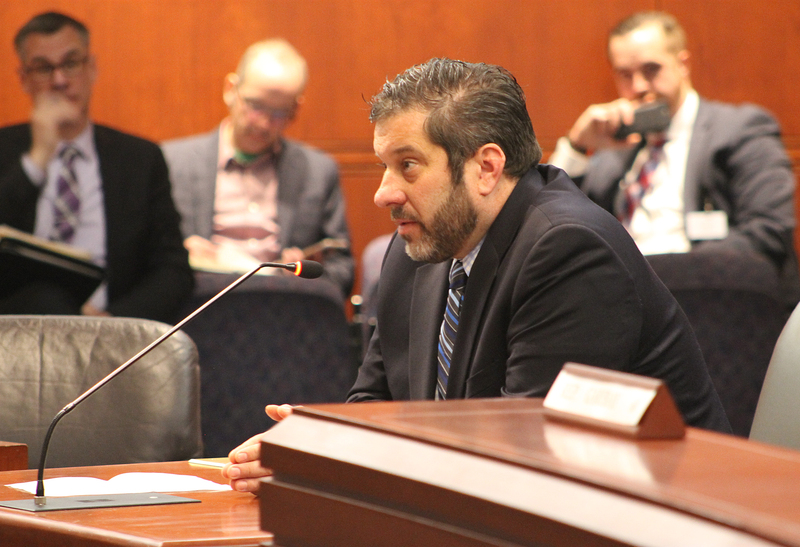 HARTFORD — The legislature’s Human Services Committee unanimously voted to move legislation increasing minimum staffing levels in Connecticut nursing homes from 1.4 hours per patient to 2.3 hours per patient to the Senate floor during a committee meeting late Tuesday morning. State Representatives Michelle Cook, D-Torrington, and Jay Case, R-Winsted, who also serve on the Human Services Committee, championed this bill to improve the quality of care for patients in skilling nursing facilities. 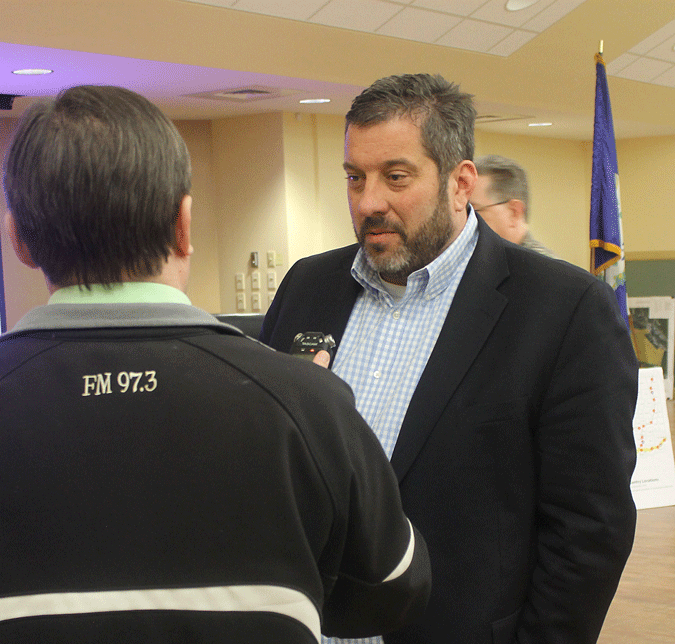 Thank you to those who attended last evening’s toll forum in Torrington. It was a great evening with wonderful participation from the public. We had over 100 people from the Northwest Corner attend, listen and speak their minds. 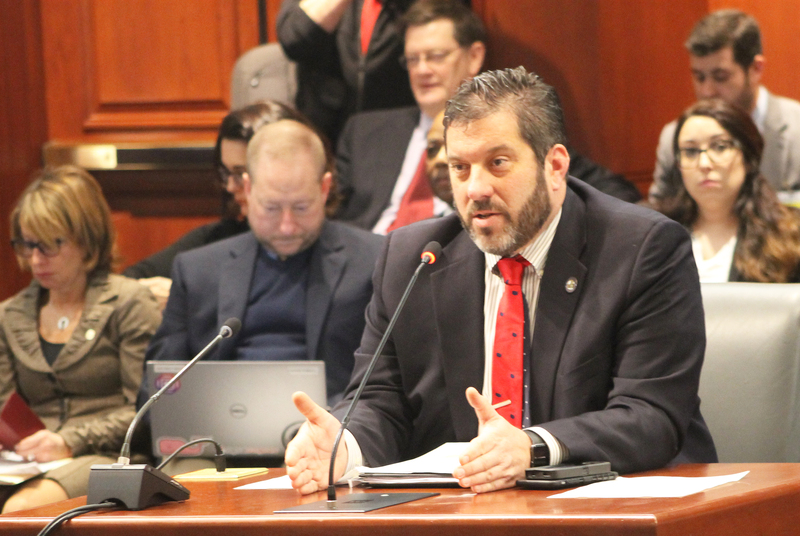 HARTFORD – State Rep. Jay Case (R-Winsted) spoke in favor of his legislative proposal to create a streamlined registration process for nonprofit organization that have five or more vehicles in their fleet. Currently, each vehicle must be registered with the Department of Motor Vehicles individually. This process can be cumbersome and time consuming to an organization that might not have the additional resources to continue their operations if vehicles are not legally allowed on the road. GOSHEN – State Rep. Jay Case (R-Winsted), joined by State Sen. Craig Miner (R-Litchfield), recognized two members of the community who recently achieved the rank of Eagle Scout. 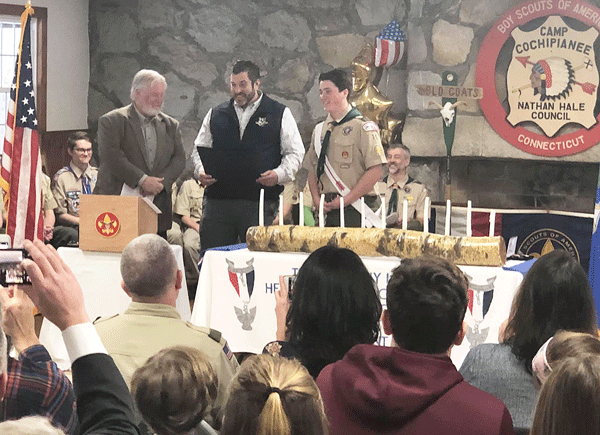 Jackson Ives and Joseph Sefcik, both serving within Goshen’s BSA Troop 35, celebrated their achievements at a joint Eagle Scout Court of Honor held on Sunday, February 24th at Camp Cochipianee. 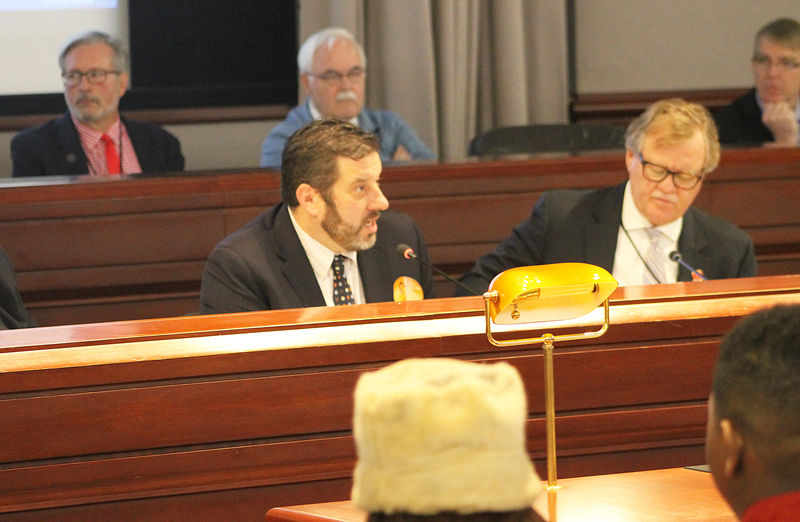 Hartford – State Representative Jay Case (R-Winsted) testified in support of a mechanism that would allow certain individuals to have more transportation options when traveling. Currently, Medicaid and Medicare enrollees who use wheel chairs or are confined to a stretcher are transported by an ambulance, even in cases where there is not an immediate medical emergency. We need to stop nickel and diming people for simply living in Connecticut. The democrats in Hartford promised “change” this session, but all we are seeing is more of the same: them asking for tax increases and more of your pocket change. It is common sense that there should not be a tax associated to buy food and feed yourself. In Connecticut, under new democrat leadership, that concept no longer makes sense. This summer, when you go to buy groceries there may be new taxes assessed to your bill for getting bread, eggs, and other essentials. 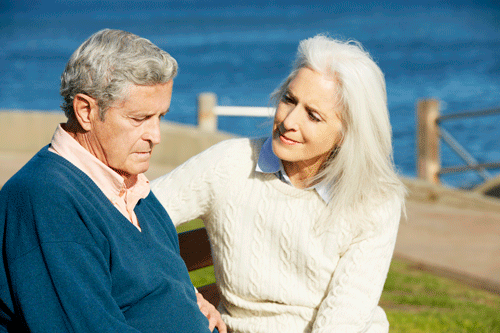 Have an ongoing medical condition? 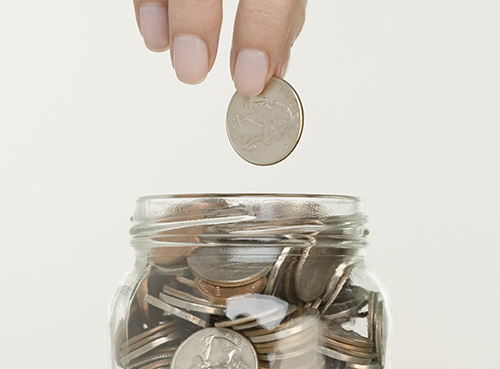 Many people do, but you should be prepared to pay more out of pocket for your prescriptions. Yes, that’s right, those who want businesses to take greater risk for paid medical leave do not want to help seniors on fixed incomes sustain their health care regiment. HARTFORD – State Representative Jay Case (R-Winsted) was sworn into his fourth term as state representative. 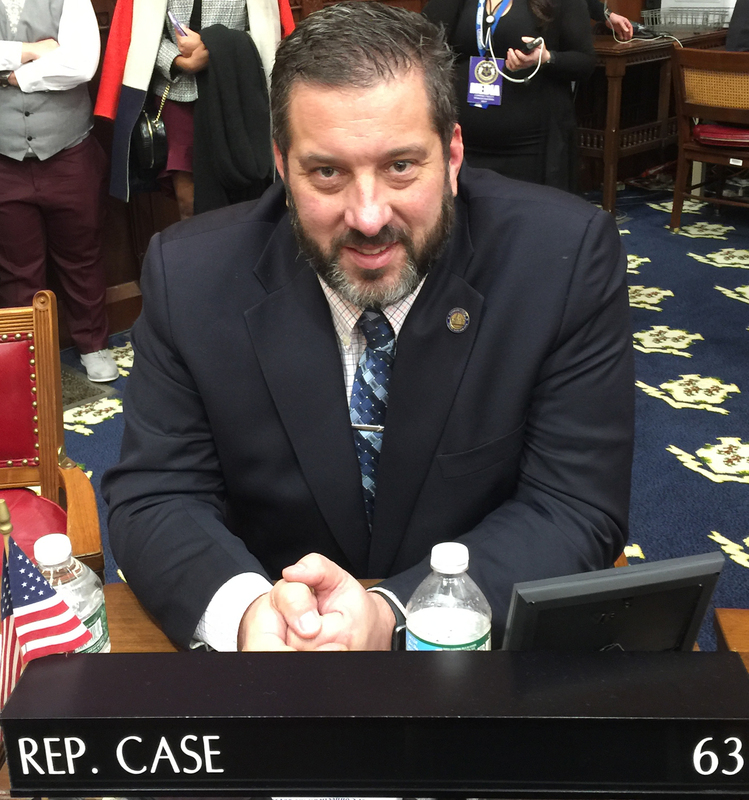 Rep. Case will continue to represent the 63rd Assembly District, which is comprised of Colebrook, Goshen, Torrington, and Winchester.